VStar Entertainment, the producer of Paw Patrol LIVE, was looking for additional ways to incentivize ticket sales to their shows as well as create an added value experience for those already attending the shows through grand prizes and on-site activations. 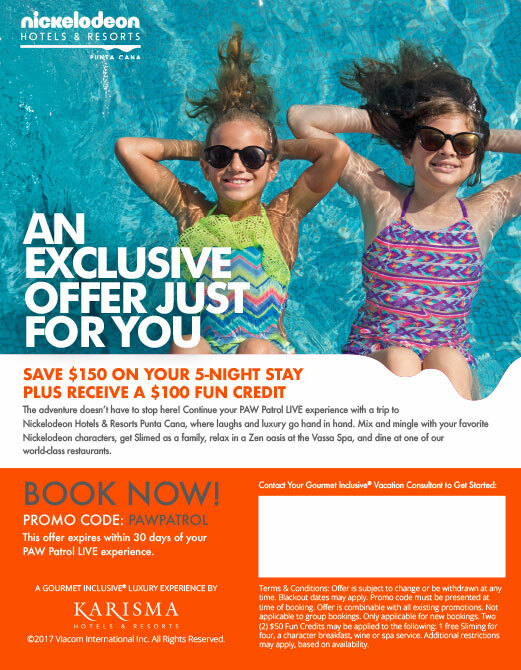 With the perfect tie to the Paw Patrol LIVE consumer, Alliance Connection identified, designed and implemented an on-site campaign for Nickelodeon Hotels & Resorts, Punta Cana that would deliver awareness and lead generation as well as meet VStar's needs. 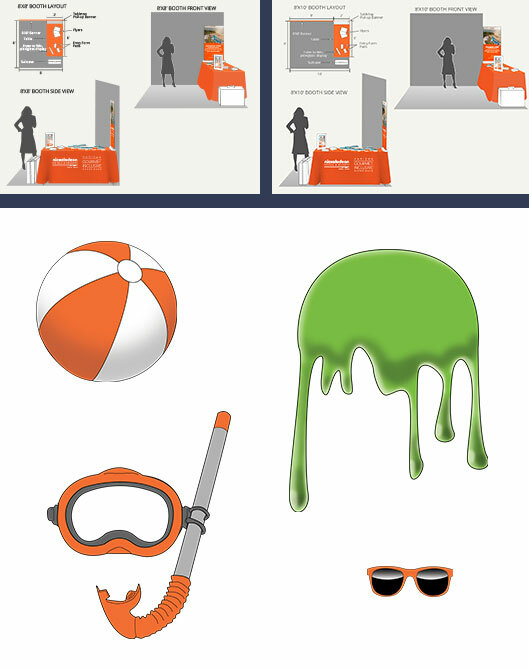 Nickelodeon Travel Specialists, trained professionals on booking a vacation at Nickelodeon Hotels & Resorts Punta Cana, hosted and facilitated interactive booths throughout cities on the tour where attendees engaged with a fun-filled photo booth using beach themed props on a beautiful Nickelodeon Hotels & Resorts Punta Cana backdrop. Attendees also had the chance to enter to win a piece of Paw Patrol children's luggage filled with beach themed goodies and receive exclusive offers for their next family vacation. As the show began, a thirty second spot for the Gourmet Inclusive® Nickelodeon Hotels & Resorts Punta Cana encouraged the audience to enter to win the grand prize giveaway of a Gourmet Inclusive® Luxury Vacation. From start to finish, this experience engaged and delighted the entire family while also meeting the needs of both partners. PAW Patrol LIVE! 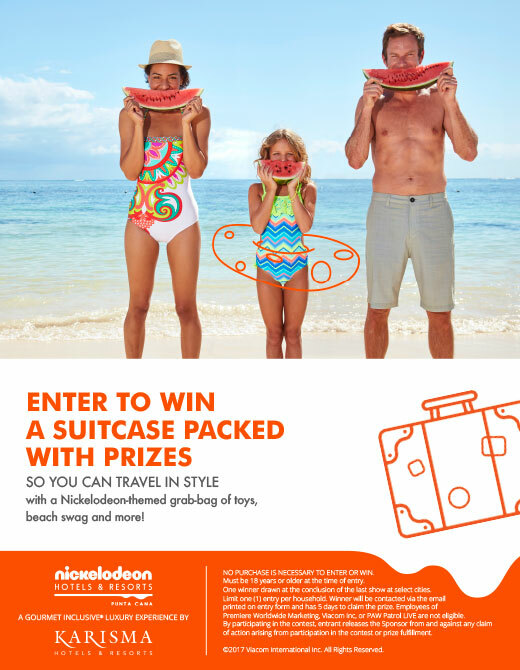 Race to the Rescue show attendees had a chance to win a grand prize Gourmet Inclusive® Luxury Family Vacation at Nickelodeon Hotels & Resorts Punta Cana, start packing PAW Patrol luggage giveaway, and receive exclusive promotions on their next Gourmet Inclusive® stay.